The UFC is wasting not time in filling out the roster for their return to Colorado. Two days after announcing the February 14 event, the promotion confirmed three fights for the show. 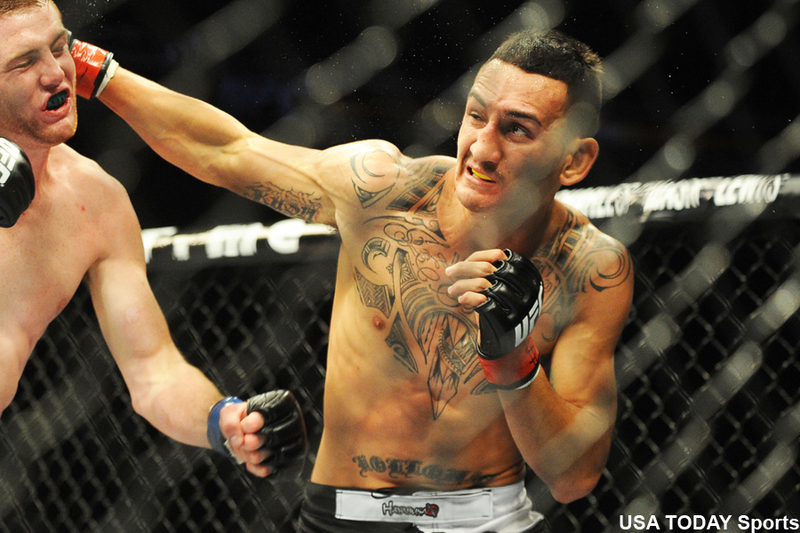 Featherweight Max Holloway (pictured) collides with Cole Miller, Zach Makovsky meets Timothy Elliott in a flyweight affair and Ray Borg faces Chris Kelades. Holloway has rattled off four straight wins, all before the final horns have sounded. “Blessed” is fresh off last month’s knockout victory over Akira Corassani. Miller, meanwhile, is coming back off torn ligaments in his right thumb. “The Ultimate Fighter 5″ contestant has won two straight, most recently submitting Sam Sicilia in January. 1st Bank Center in Broomfield, Colorado hosts the festivities. The UFC hasn’t been to Colorado since UFC 150 in August 2012. Fox Sports 1 will broadcast the card.